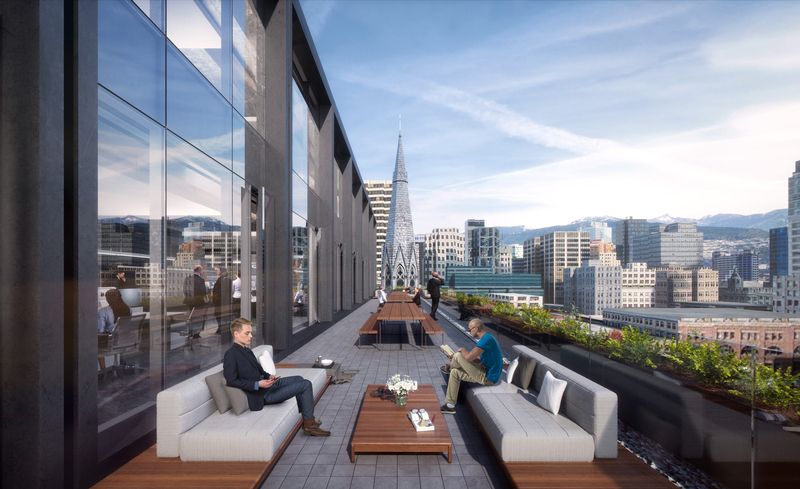 The new North Tower at 401 West Georgia draws on elements from the past (and present) to create a bold new vision for the future. 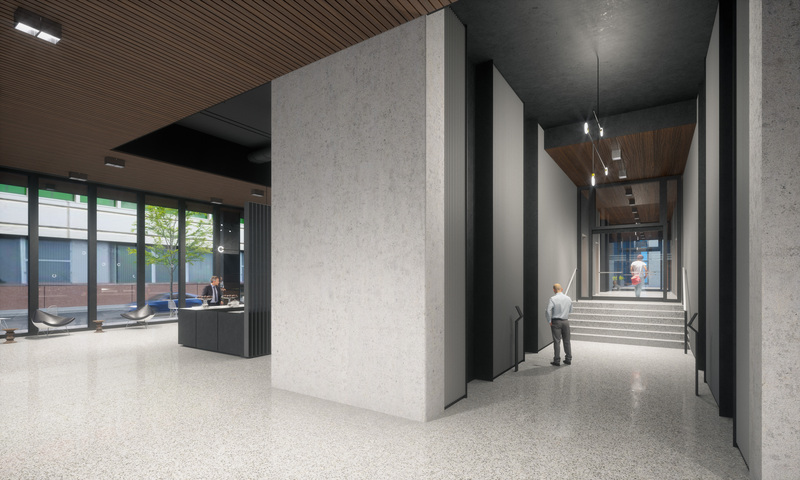 Designed by globally renowned B+H Architects, the tower is a modern interpretation of an urban loft that takes architectural cues from its neighbours - and effortlessly weaves the neighbourhood together. 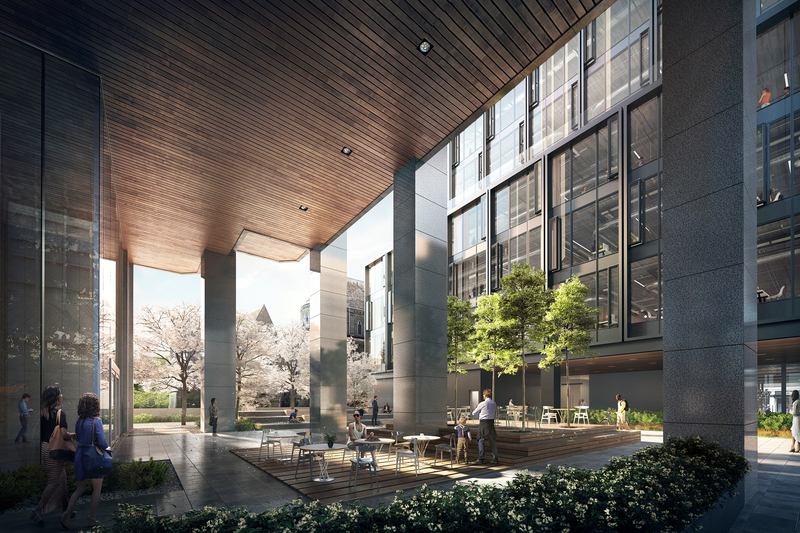 Soft elements, including bright natural stone and high canopy trees, reinvigorate the existing courtyard space and seamlessly bridge the north and south towers. 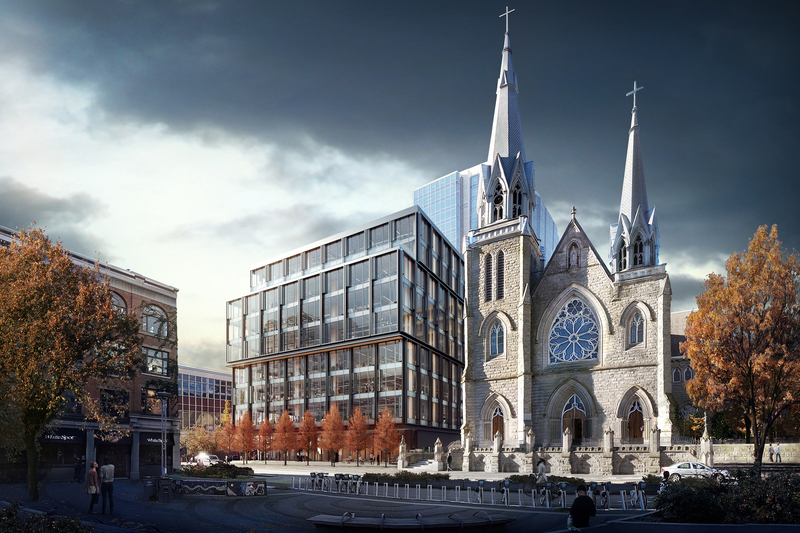 The result is a rhythmic design that feels equally at home alongside the 100-year-old Labor Temple, the Holy Rosary Cathedral, and the Canada Post Building. Oxford Properties takes a leadership approach to sustainability that creates value for our business, while doing what's right for the planet. With every project, we strive to create healthy spaces for our tenants in the short term – and for our planet as a whole. 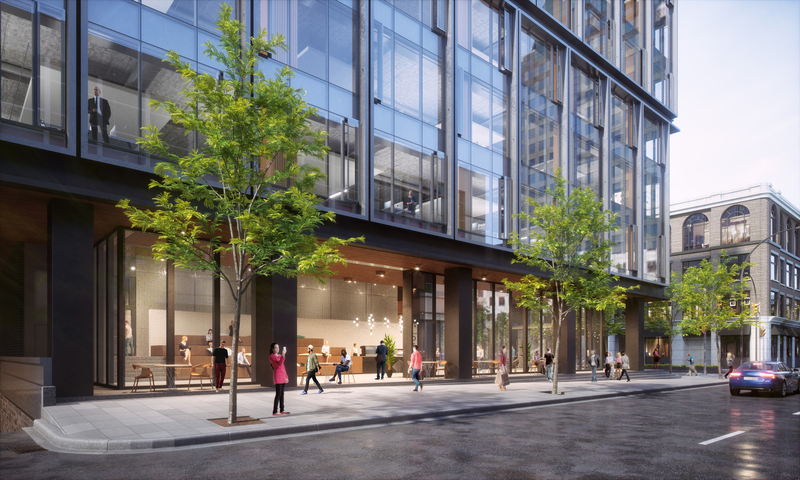 The new North Tower at 401 West Georgia will be designed and built to LEED Gold standards with a tiered terrace structured to maximize daylight. 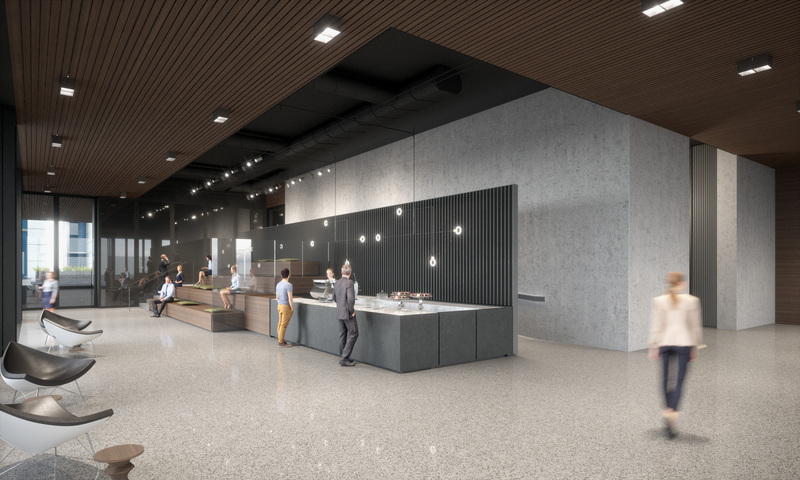 Open-concept floor plates range in size from 14,000 to 20,000 square feet, offering tenants the unrivalled space and flexibility they need to organize their unique workflows and maximize employee well-being. Terraces on the north and south sides of the tower are staggered to maximize daylight, protect mountain views, and minimize shadows in the courtyard below. Floor-to-ceiling glass on each floor maximizes natural light while opening windows allow for fresh air any time of day. 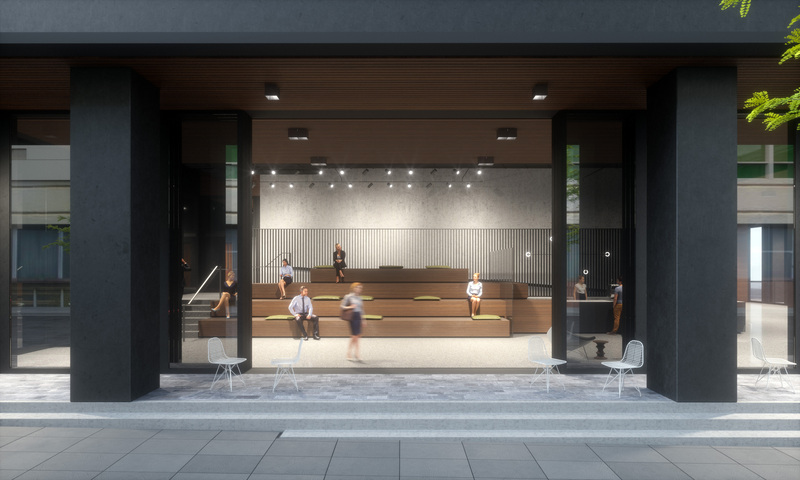 An open-air, open-concept lobby with auditorium seating and a café brings a never-before-seen amenity to the downtown core. Every day, more than 1.5 million people visit, work, shop, or live in an Oxford property. We work hard to meet our customers' needs and pride ourselves in consistently leading the industry in service and satisfaction. - Consistently delivering a world-class experience. - Earning your respect in every interaction, every day. - Empowering our teams to deliver effective solutions fast. - Taking great pride in leading the industry. Our award-winning customer service platform, 310.MAXX, connects tenants to a range of service options in seconds and guarantees a solution within 30 minutes. Whether you need a light bulb replaced or your recycling picked up, our customer service representatives are available 24 hours a day, 7 days a week to help. We take care of your service needs so that you can focus on your job. A PROGRESSIVE NEIGHBOURHOOD ON THE VERGE OF SOMETHING BIG. 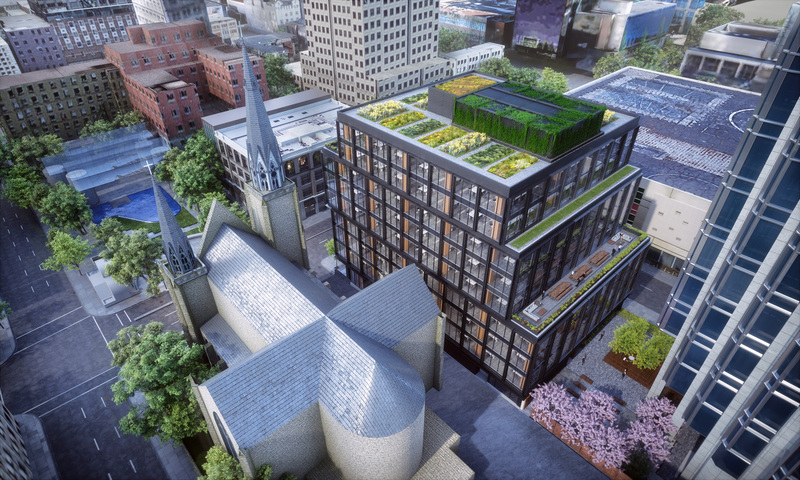 The new North Tower at 401 West Georgia will be located at the corner of Dunsmuir and Homer, within walking distance of key public transit routes, bike paths, countless restaurants, and homes in Yaletown, Gastown and downtown. 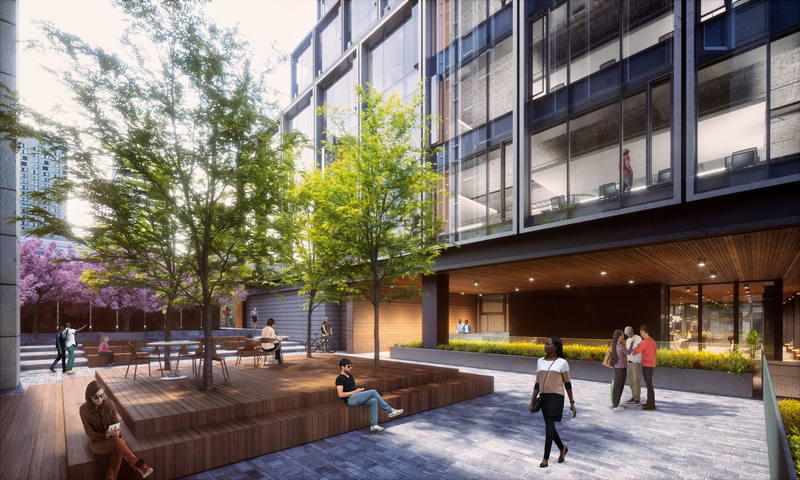 PLUG INTO A PROGRESSIVE SPACE WITH FLEXIBLE FLOOR PLANS, LOFT-STYLE FEATURES AND FINISHES, AND UNRIVALLED AMENITIES ON AN ENERGIZED STREETSCAPE. TOWER AT 401 WEST GEORGIA. Oxford Properties is a premier real estate investment, development, and management company with Canadian roots and global reach. Since opening our doors in 1960, we've been revolutionizing how people live, work, shop, and play in cities across Canada, the United States, and Europe. Today, Oxford Properties has over $5 billion in active commercial development projects. 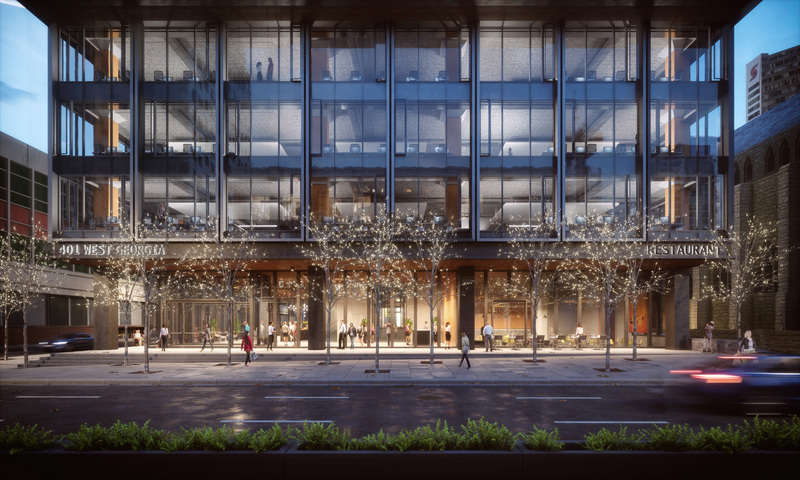 Our ever-growing portfolio of world-class properties includes more than 50 million square feet of office, retail, hotel, industrial, and multi-residential assets. 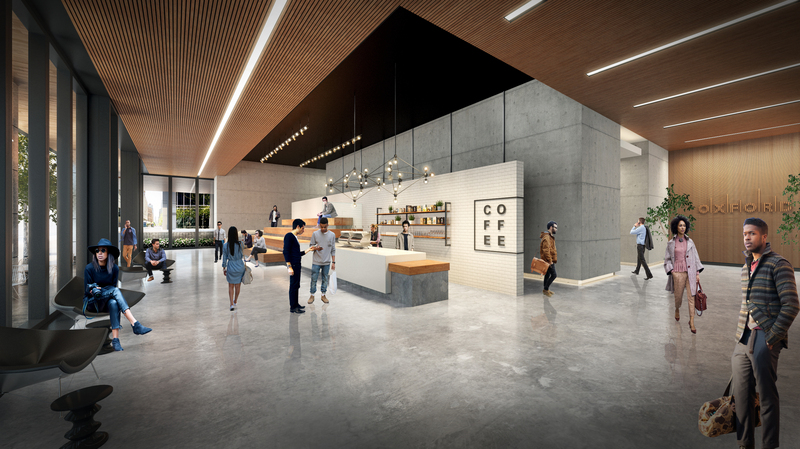 B+H combines strategic thinking with bold and inspiring design to transform spaces, communities, and economies. 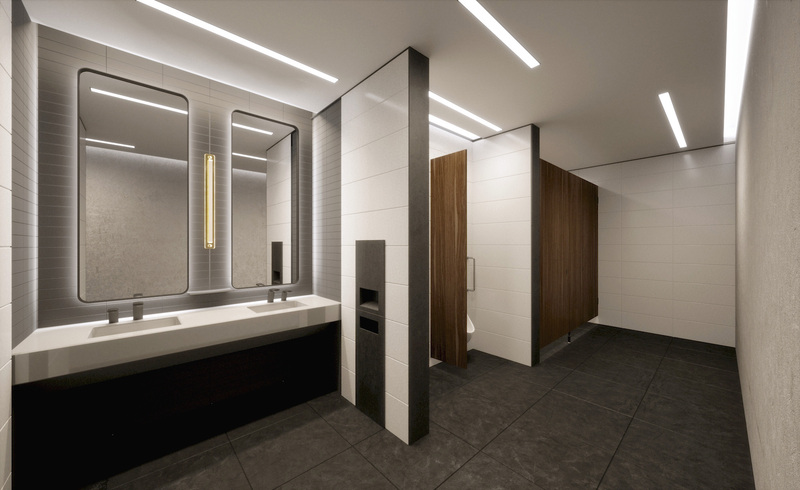 The B+H team believes in the power of design to transform spaces, communities, and economies. Its bold design solutions are inspired by the confidence that's derived from honed insight, active listening, fearless entrepreneurialism, and a collaborative fusion of perspectives. 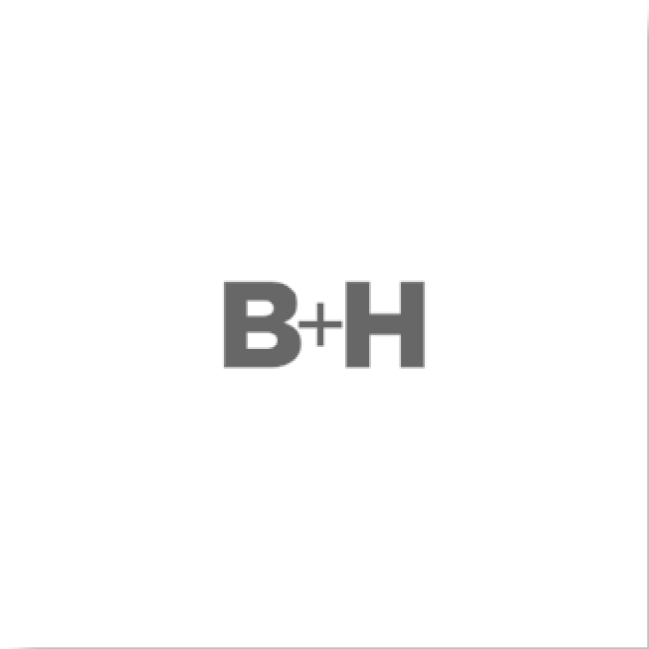 Design performance achieved through constant innovation, accountability, hands-on service, cultivating talent, and being a champion for diversity in all its forms – these are the things that B+H values. 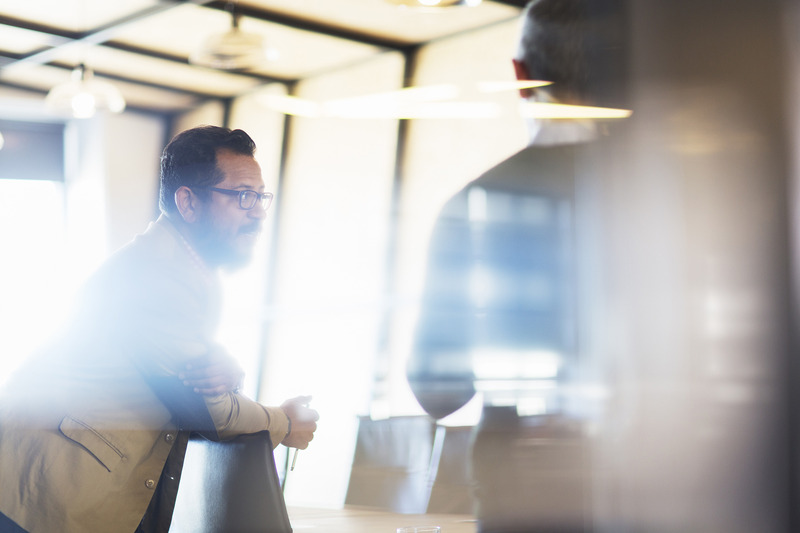 Oxford Properties Group is the real estate investment arm of the Ontario Municipal Employees' Retirement System (OMERS), one of the largest pension plans in Canada. 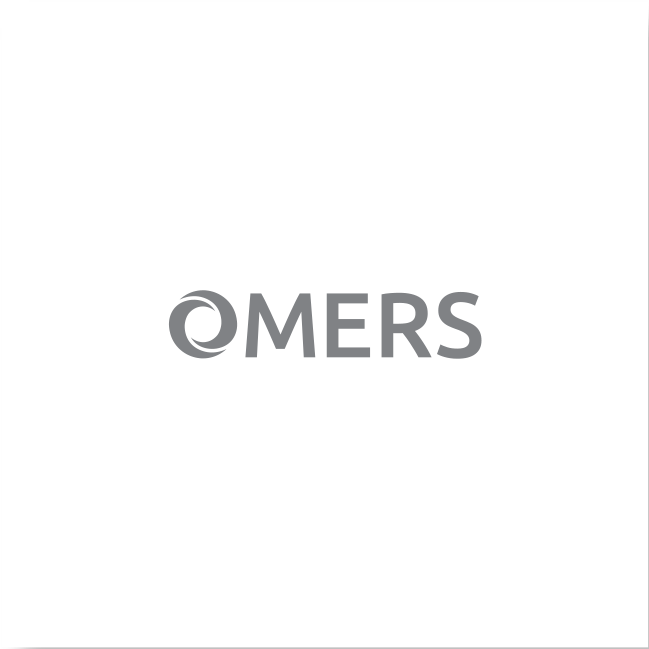 OMERS has a strong strategy for the future, with assets that enrich the lives of millions of Canadians. 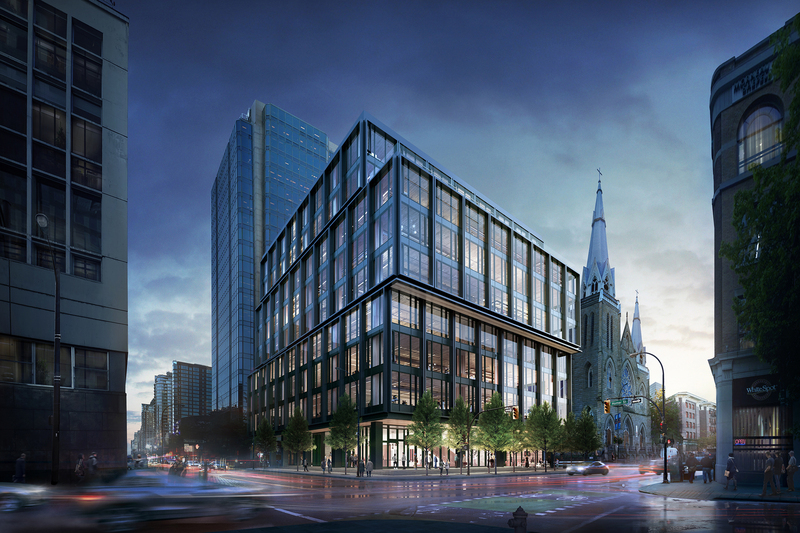 In every market, with every project, OMERS seeks new ways to add value, leading to steady growth in assets, strong growth in membership, and a more sustainable and prosperous future for its stakeholders, tenants and communities. MAKE 401 WEST GEORGIA YOUR COMPANY’S NEXT HOME. © OXFORD PROPERTIES GROUP 2017. 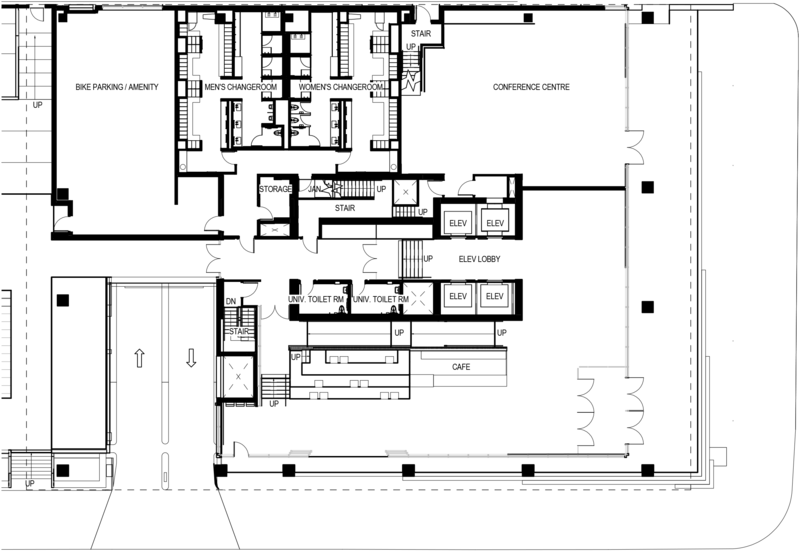 SUBSIDIARIES AND RELATED ENTITIES EXPRESSLY DISCLAIM ANY AND ALL LIABILITY FOR ERRORS OR OMISSIONS IN THIS COMMUNICATION.